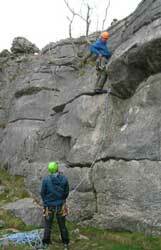 We use a wide range of crags throughout the area. 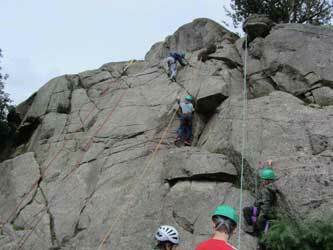 So we could be climbing on different types of rock (granite, limestone, sandstone, etc.) 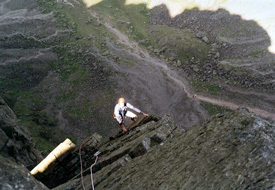 and different lengths of route, single pitch and multi pitch. 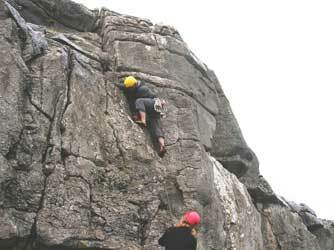 This is ideal for beginners or groups as there are a wide number of routes to try. 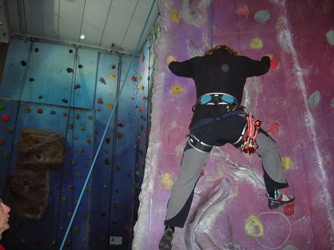 After gaining confidence on easier routes you can test yourselves on harder climbs or just do lots of easy climbs. 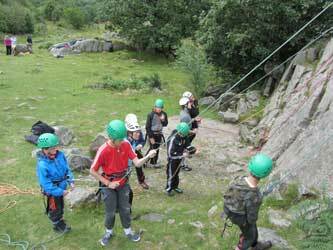 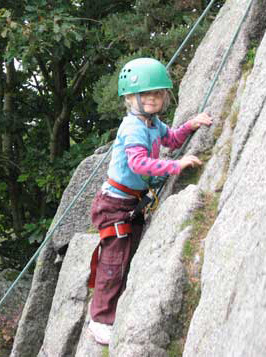 Learning to lead, Climbing Outdoors and Improvers. 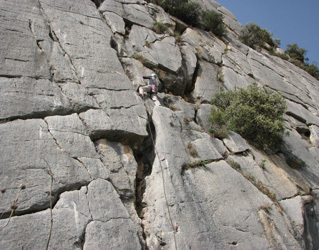 Single pitch crags are the ideal place to learn to lead and second, place gear (running belays), or moving outdoors from indoor climbing walls, or just to lmprove your climbing technique. 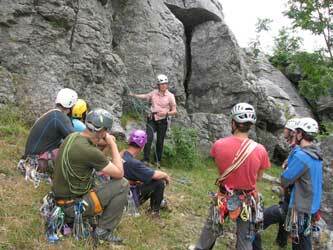 Preparing for multi pitch climbs, belays, belaying, rope management, single rope and double rope techniques, self rescue and crevasse rescue. 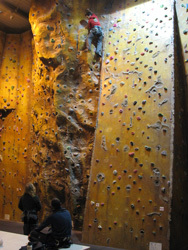 We use a number of climbing walls throughout the area either, for skills training, for evenings or for running away from the weather. 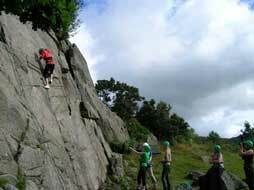 We use Kendal, Penrith, Keswick, Carlisle and Ingleton. 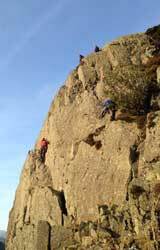 There are numerous sport climbing venues in the UK, but lots of climbers head for warmer climes in the winter. 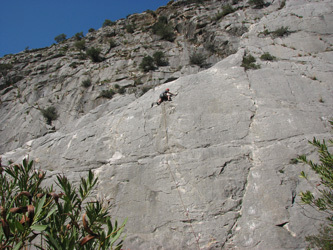 Sport climbing comes with its own set of problems and skills, clipping bolts, lowering off and abseiling are but a few. 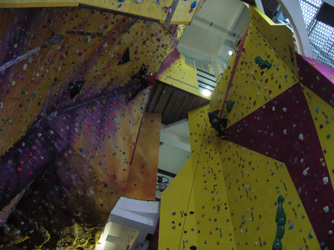 We will look at the skills, techniques and equipment required to climb safely on sport routes. 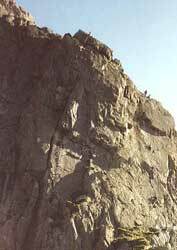 Large crags require multiple rope lengths and belaying (tying to) to the rock face en route to the top. 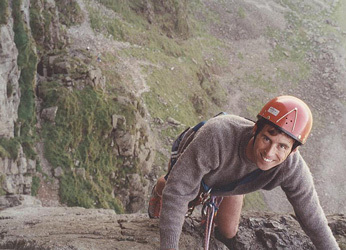 We will look at route selection, route finding on large crags, descent options, belaying and rope management on belay stances, change overs, leading through, protecting the leader, the second/s and rescue techniques, double rope and single rope techniques. 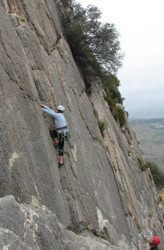 The why, where and when. 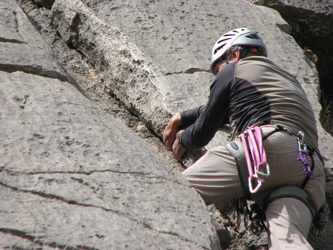 Everything you need for mountaineering / multi pitch routes.